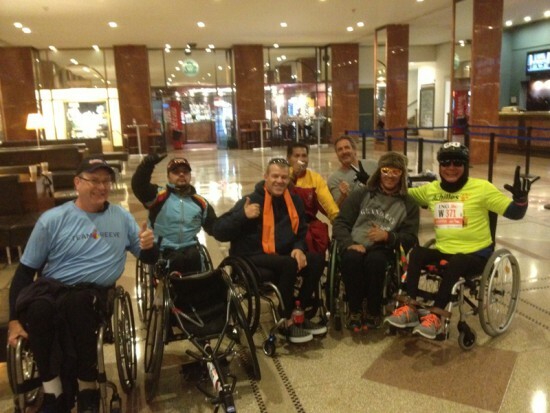 Before the NYC Marathon, the 50 Abilities Team went to visit the Kessler Institute for Rehabilitation to give a presentation on Racing Wheelchairs and living an active lifestyle. 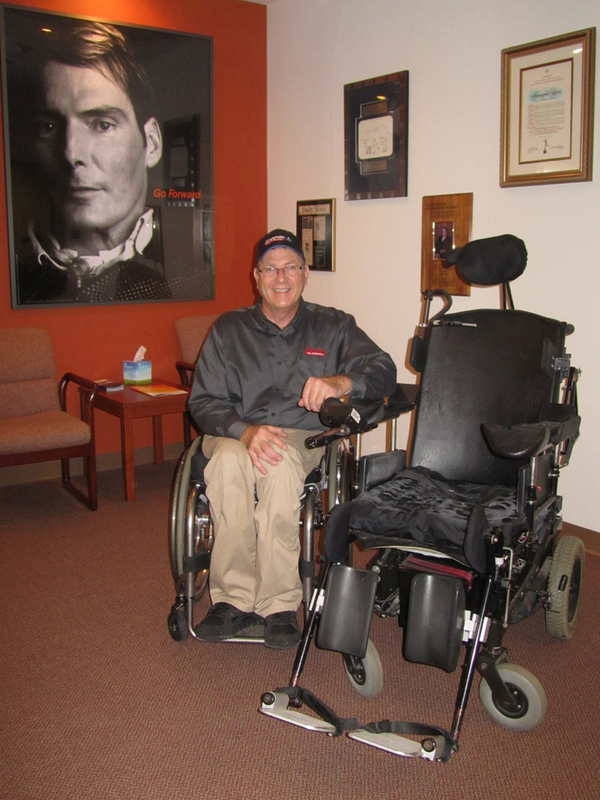 The Kessler Institute is also where Christopher Reeve went as a patient to receive care. 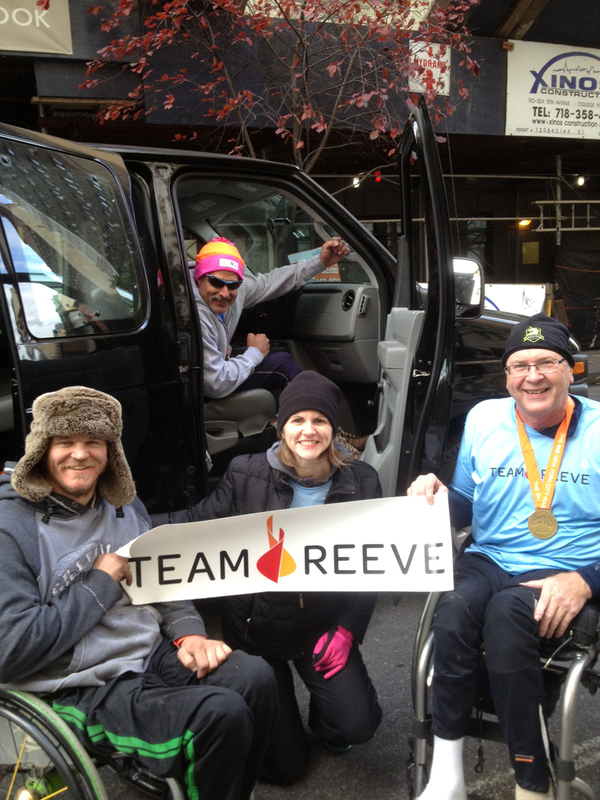 After which, the Team went to the Christopher & Dana Reeve Foundation (CDRF) and got a tour around the facility. They still have the actual power chair that Christopher used on display there. Getting ready to get on the bus to the starting line with a group from Columbia University. 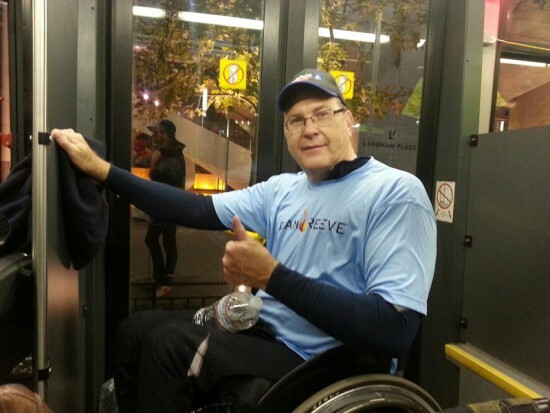 Paul getting loaded up at 5:00 a.m.
After the race with Leigh Alspach, Manager of Team Reeve. Paul’s Presentation at Kessler Institute. 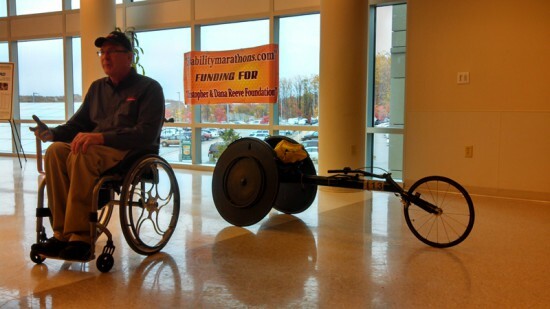 Paul sitting next to Christopher Reeve’s Power Chair that he used for so many years. What a great picture in the background…a very powerful image. He truly was a Superman. 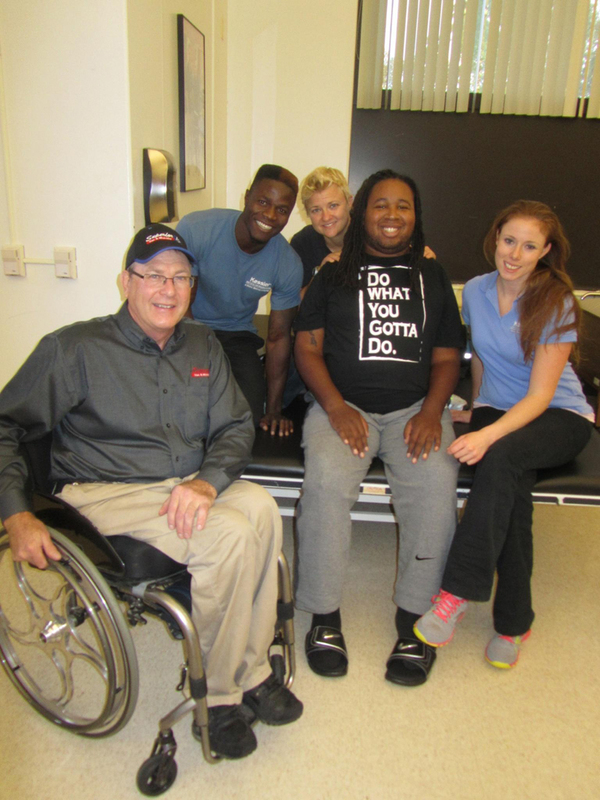 Paul with patient Eric LaGrand and Kessler Therapists. Lady hiding in back is “Buffy” the Paralysis Slayer. 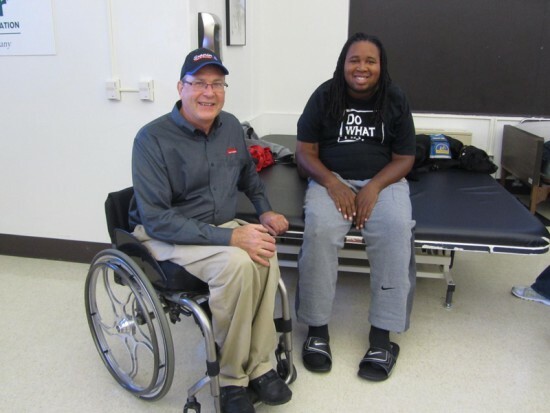 Eric LaGrand was a Rutgers Football Player that got injured in a Televised Game some years ago and a Book was written about him and his courageous journey back to good health and a prosperous life. 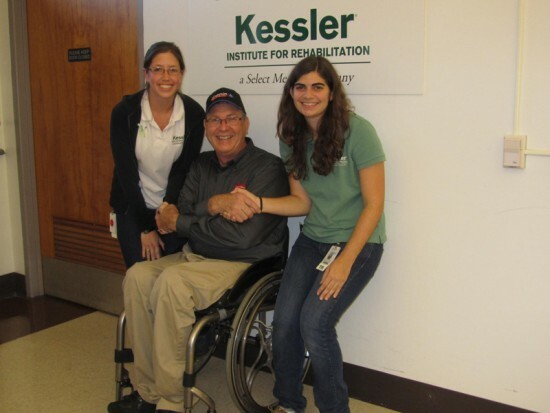 Paul with two of Kessler’s Recreation Therapists.